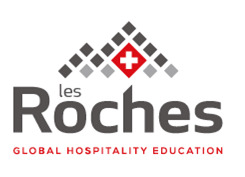 Les Roches Global Hospitality Management is ranked as one of the best Hospitality Management Schools in the World with 6 campuses in different continents. We are accredited by the New England Commission of Higher Education (NECHE). We have more than 100 nationalities and more than 2700 students every year. Our students will learn all the skills and competences for an international global business career thanks to the balanced Education provided by the theory (liaise in real-world problem-solving cases) and the practical side provided at Les Roches.